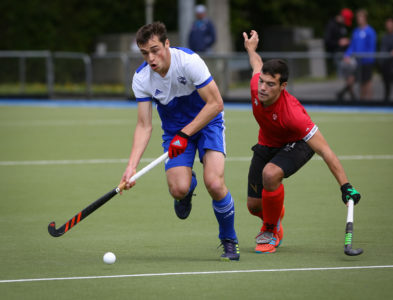 Canada beat Auckland 3-1 on Saturday at Llolyd Elsmore Park in the lead up to a series against The Vantage Black Sticks Men. They are in Warkworth for two tests against the Canadians for the BDO Hockey Series. They’re about to head to the 2018 Odesha World Cup in November – you watched them on television at the Gold Coast Commonwealth Games, so don’t miss them in your own backyard! Held at the Warkworth Showgrounds Reserve in Warkworth, the game yesterday was the first in the series. Three more games will be played, another tonight in Warkworth (October 18) and the remaining two at Lloyd Elsmore Park on Saturday, October 20 and Sunday, October 21 – both with a 2.30pm hit off. So come along, bring the family and make an evening of it. Watch the best hockey players from Canada (No. 11) and New Zealand (No. 9) battle it out! Tickets are cheap, with discounted family passes available. Children (0-8) are free.